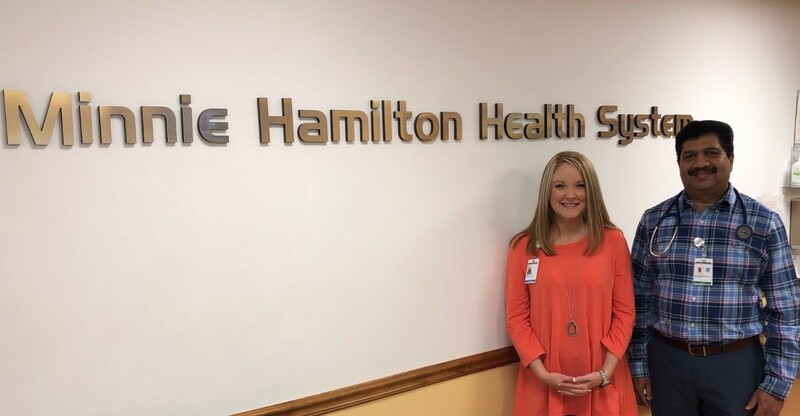 Minnie Hamilton Health Care Center (MHHCC), an 18-bed, not-for-profit Critical Access Hospital (CAH), operates a rural health clinic (RHC) for the residents of Grantsville, WV and an FQHC in Glenville, WV. MHHCC was spotlighted in the February 2018 edition of Timely Transitions for their initial work on their SRHT Quality of Care and Transition of Care Project. Center staff spoke with Stephen Whited, CEO; Sandra Ellis, Director of Quality, Risk and Patient Safety; and Brittany Frymier, Administrative Assistant, in July to discuss their continued progress and outcomes. Q: What are some of your accomplishments on this project since we last spoke? A: Regarding patient experience and clinical quality, HCAHPS scores continue to be posted. Staff are asked for their ideas for improvements and often suggest good and practical ideas. For instance, to impact “quietness of the hospital at night” a CNA suggested oiling the squeaky patient doors and that made a difference! Another staff suggested the lighting be repositioned to be less annoying to the patients. Both suggestions are a nice reminder that it’s often the little things that we overlook which can make a difference for the patient experience. In addition to formal HCAHPS surveys, the board of directors suggested leadership solicit feedback from the community, in general, about their feelings of the hospital. MHHCC has focused on better communicating their HCAHPS scores to the community by posting them on their website and sharing them in the local newspaper. MHHCC utilizes SBAR as their handoff tool to improve communication between the emergency department and inpatient staff. The “ticket to ride” process is utilized when a patient is being transported off the unit for an ancillary service. As a result of these processes, staff report fewer complaints around patient handoff. Readmission rates remain low. A LACE tool is still used to identify patients that are a high readmission risk so that extra attention can be paid prior to discharge and other agency or social service needs can be provided as needed. To further assist with reducing readmissions, staff proactively initiate swing bed admissions, when possible. In addition, chronic care management is more effectively performed due to the close relationships with providers as a result of owning an FQHC. Nurses are providing more patient education to identify gaps in understanding on the part of the patient. This allows them to enlist the help of respiratory therapy and other services, if needed, for re-education. MHHCC participates with a rural health group and community workers to provide ongoing assistance to the patient in their homes. They currently focus on diabetes as one of the two major chronic diseases and follow a very high number of patients. Additionally, West Virginia recently made changes in narcotic prescribing and requires more non-narcotic interventions, increased inclusion of patients in their care and exploring alternatives for chronic pain management. These changes will require stricter monitoring, constant oversight and more visits by the patient. MHHCC is choosing to complete quarterly lab testing on those patients since this affects a number of their patients; 15% of their patient mix is on a narcotic. Q: What has been the impact of this project on MHHCC?